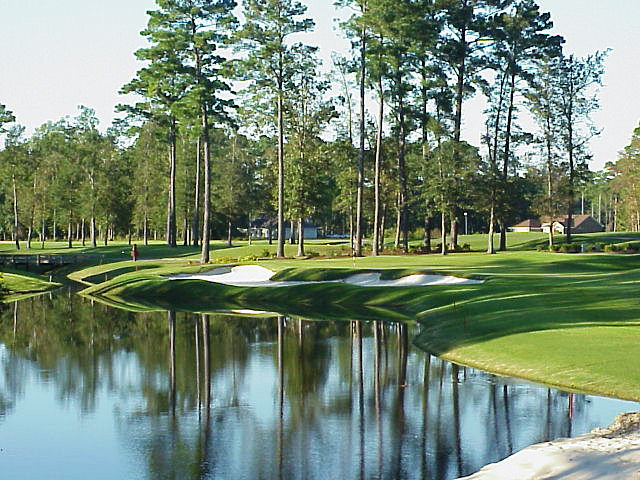 A great course is often described as one where the holes become etched in your memory. Long Bay Club is such a beach golf course. The Long Bay Club is a magnificent Jack Nicklaus Signature Course that is consistently ranked among the top courses in the state. 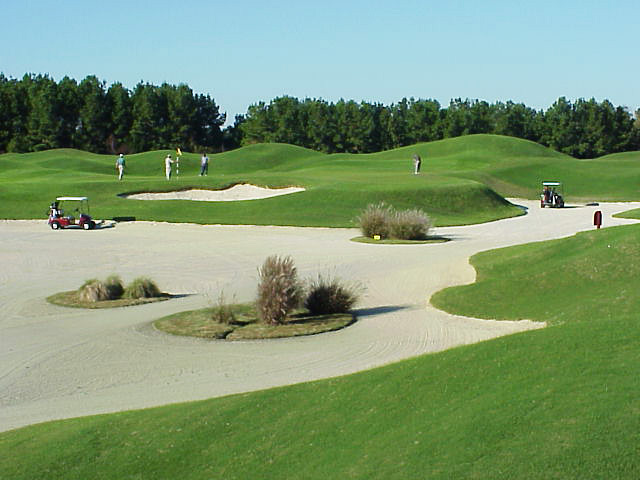 This is not a typical Nicklaus design; deep pot bunkers and vast waste areas add a unique identity and challenge. 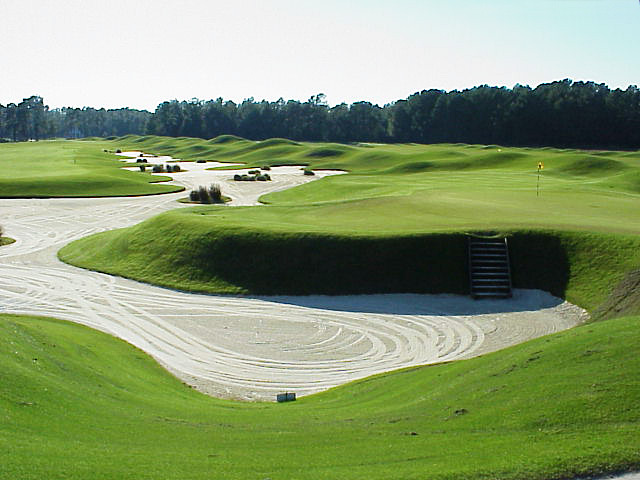 Long Bay Club was awarded 4.5 STARS by Golf Digest’s “Places to Play” in 2006. Countless large man-made mounds. They’re particularly lethal near the green, creating a new approach (so to speak) to your wedge game. Handsome but deadly par-3s, especially No. 13, a mid-iron test to an island green. Many bottomless bunkers surrounding Long Bay’s small Bermuda landing surfaces. 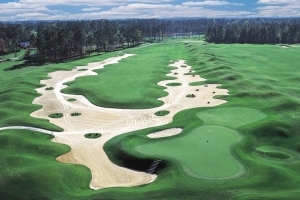 And a striking horseshoe waste bunker on the courses signature hole, the 353-yard (championship tees) No. 10 has become one of the most recognized in golf. Book tee times at the Long Bay Club with On the Green Magazine.